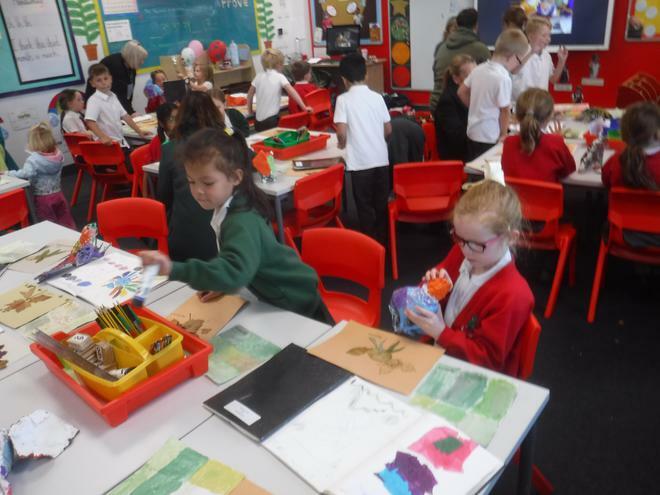 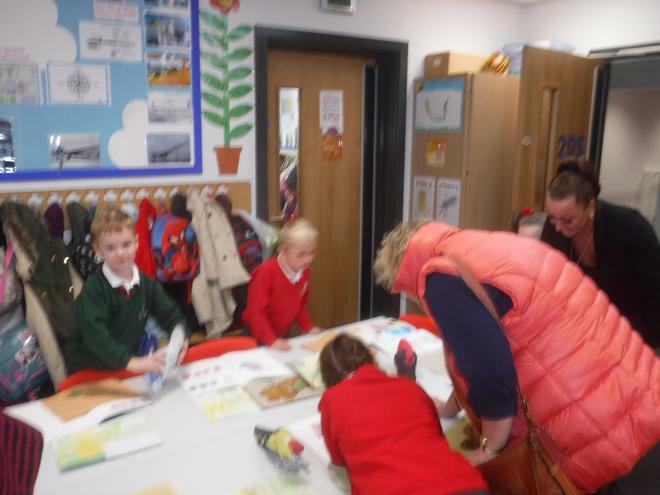 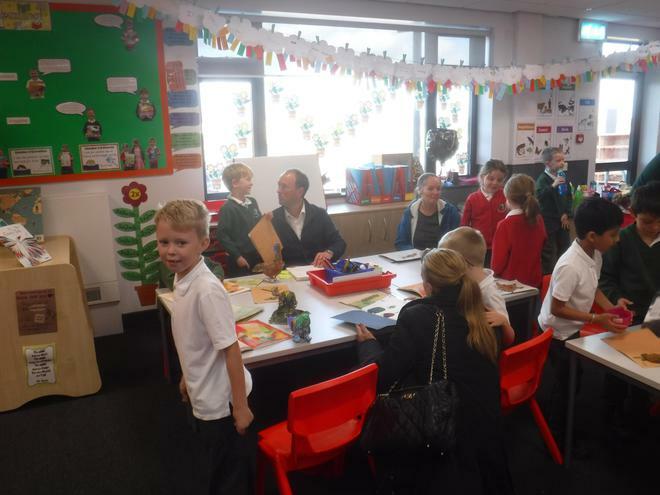 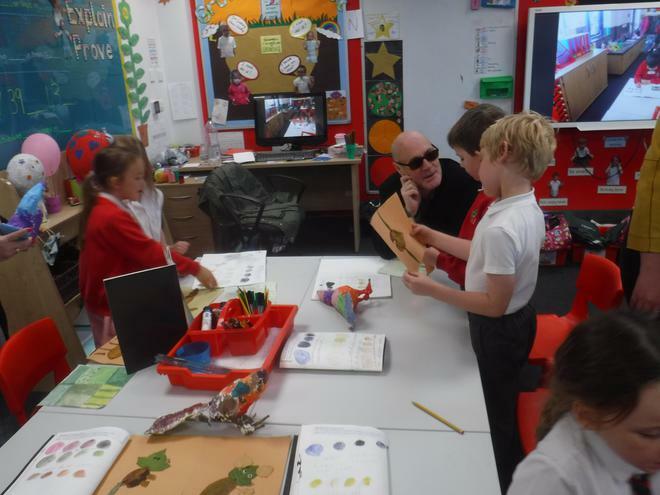 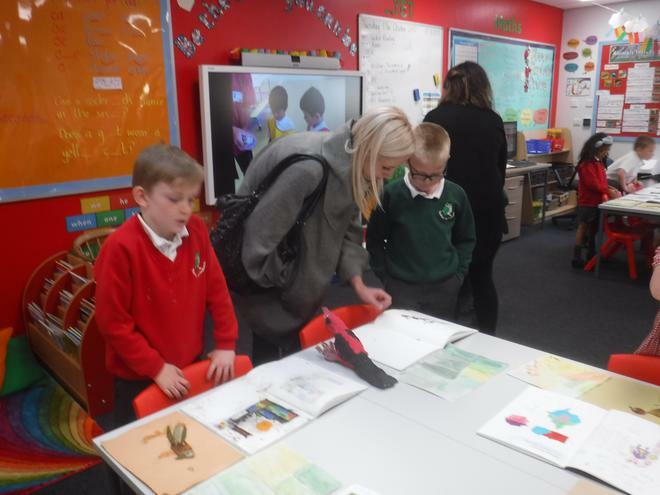 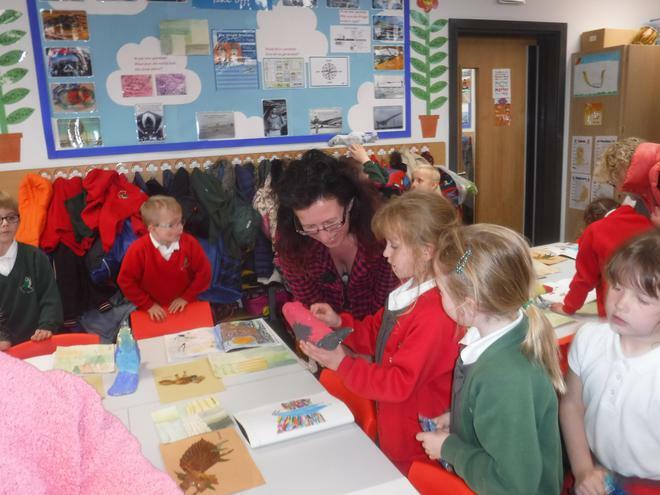 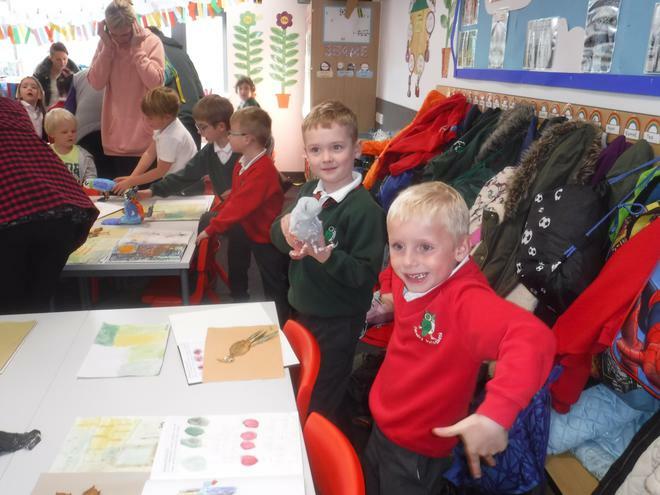 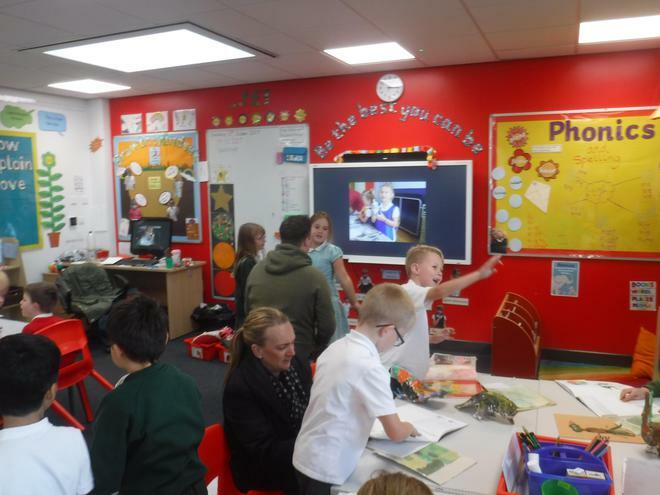 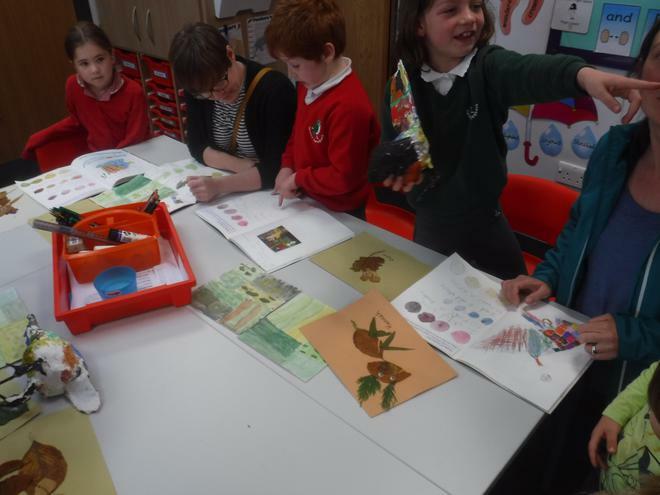 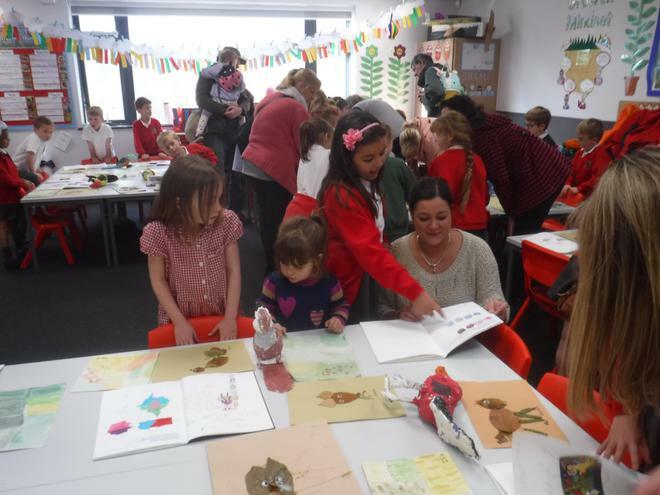 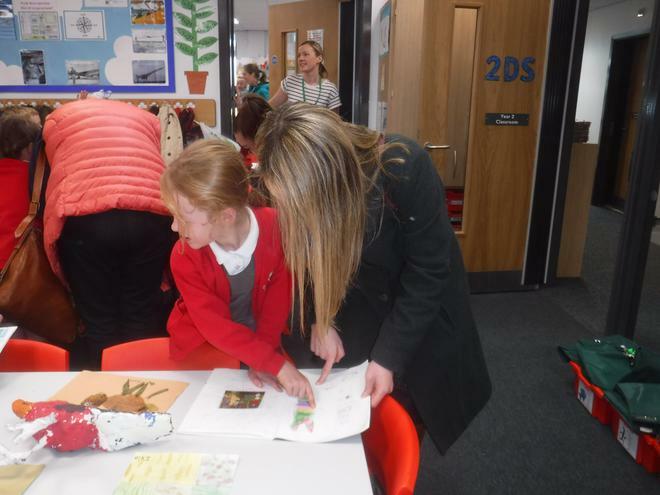 On Tuesday, the Year 2 parents and carers were invited into class at the end of the day for Year 2's art showcase. 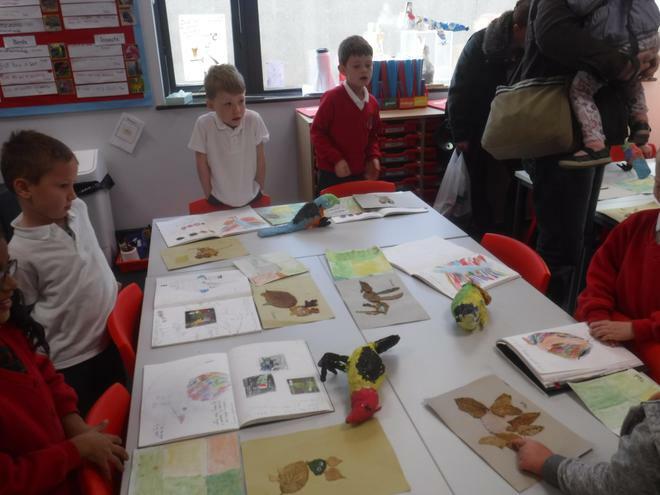 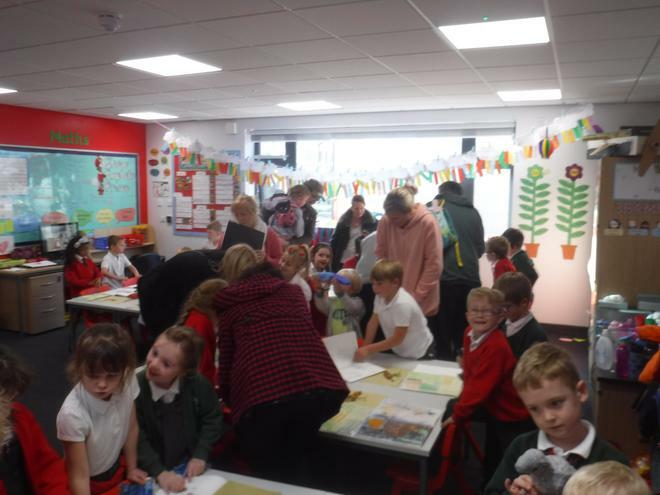 The children have worked really hard with a range of art projects this half term and the showcase gave them the opportunity to show off some of their creative talents! 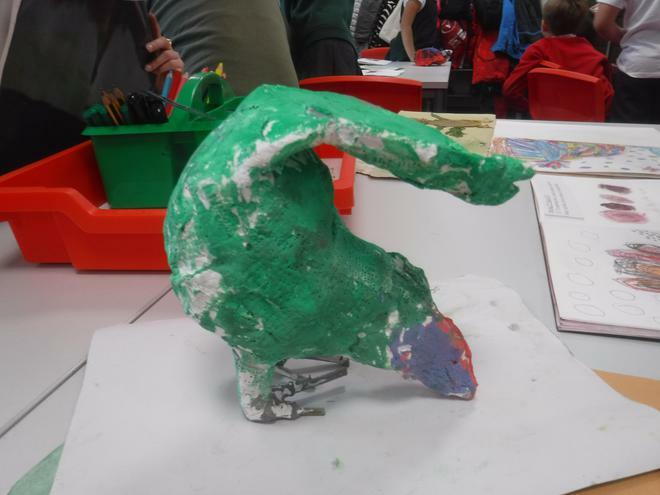 The children worked with a real sculptor in school to create life-size bird sculptures, which they then painted. 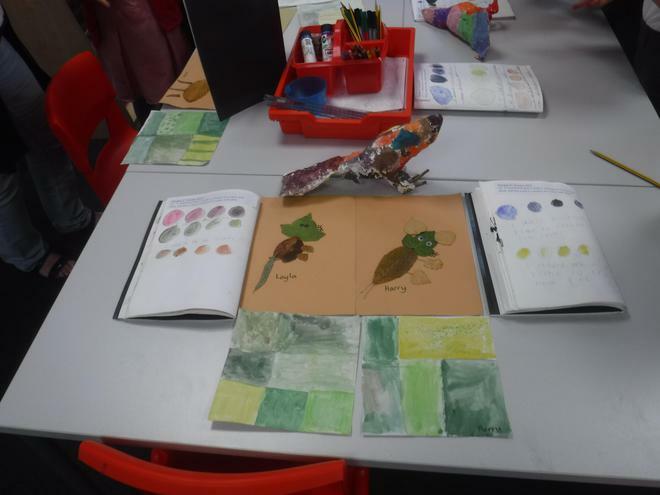 They have also learnt how to mix water colours to create different shades and tints. 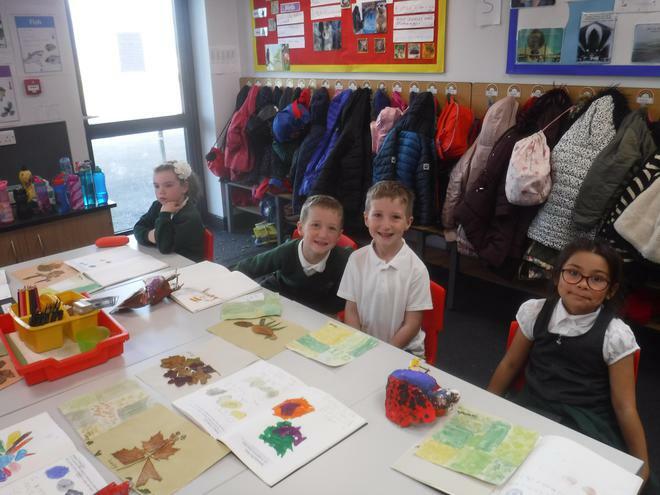 These skills were then put into practice when they created a watercolour painting of fields from a birds-eye view. 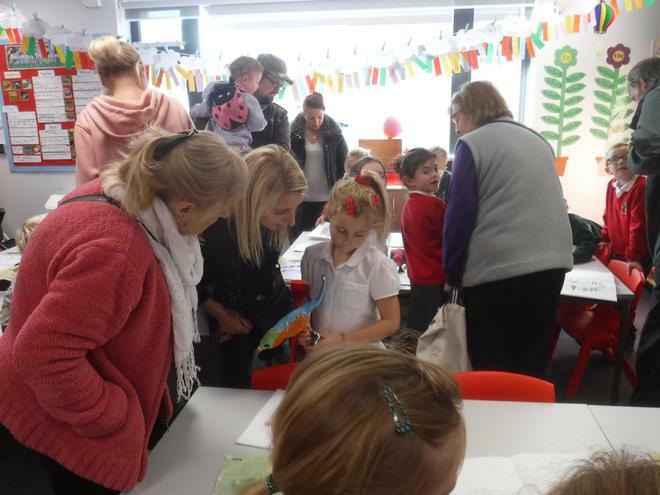 Thank you to all the parents and carers who came along and enjoyed persuing the children's school sketch books full of all the wonderful things they have done since Year 1.